Through his lifestyle as a Community Foundation board member, family man, banker, and volunteer, Forsyth resident Scott Jordan emphasizes the importance of looking beyond oneself for the betterment of others. Learn more about him through our Q&A! 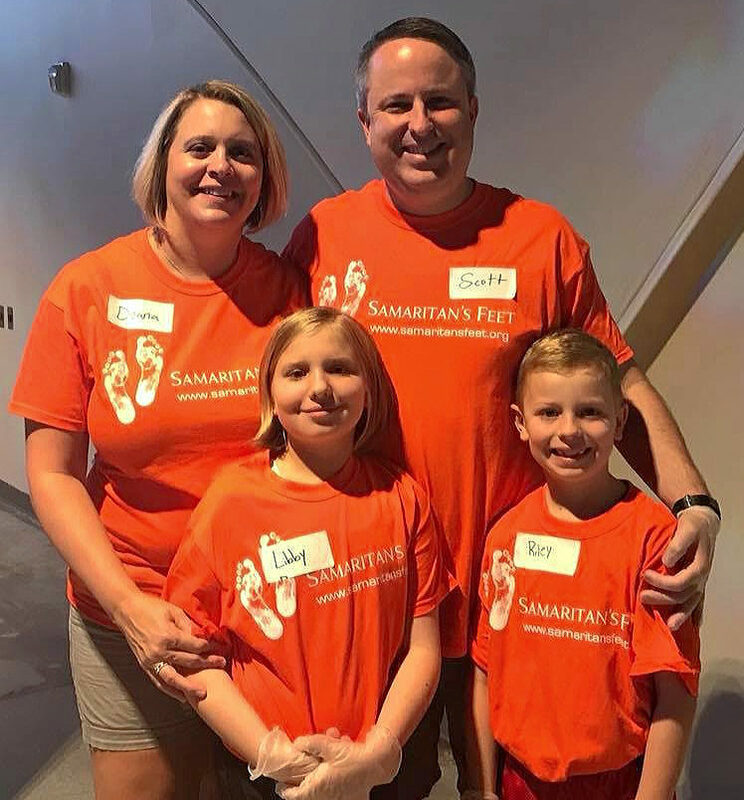 Scott: My wife and I are always looking to be more intentional in how we help our neighbors, and we selfishly want to serve as better parents and role models for our children. The Community Foundation board allows us a unique opportunity to get closer to the process of solving community challenges alongside those with a like mind and heart. We’d also love to help the Community Foundation deepen its support in Forsyth County, where our family has lived for many years. Scott: I was fortunate to be raised by wonderful parents that taught my sister and myself that our role in this world was much bigger than us. It’s our responsibility to use our God-given talents for the betterment of society. My wife, Deana, and I share similar values and spend a great deal of our free time alongside our children volunteering and raising awareness/funds in tandem with key organizations like the Community Foundation of Northeast Georgia who are solving problems in our community. We’re sometimes overwhelmed by the challenges our neighbors face in our community, and our family just wants to lend a hand. CFNEG: What do you enjoy about your career? Scott: As a community banker, the core of what we do is help others achieve economic success and financial security with the key word being “help.” In doing this, we can play a key role in making the communities in which we work and live thrive. 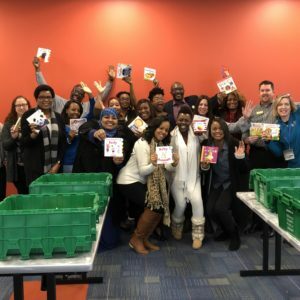 I love how my current employer, BB&T, empowers our associates to take an active role in improving our communities outside of work. In fact, it’s at the center of our mission, vision, and values, which is a key reason that I’ve worked here for the past 16 years. Scott: I love how the Community Foundation is a leader and convener of all facets of the community (professionals, philanthropists, volunteers, community organizations, etc.) to solve its multitude of challenges. Through the legacy giving process, we’re also able to ensure that this altruistic approach carries on for generations. Scott: The Community Foundation has a proven track record of putting its money where its mouth is to help our community overcome challenges such as homelessness, food insecurity, early childhood education, etc. 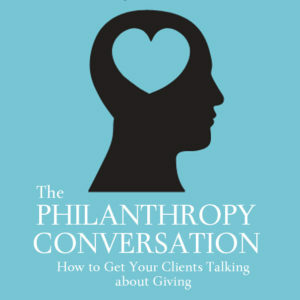 It takes an incredibly holistic approach to philanthropy, which is quite unique. CFNEG: What other causes/organizations are you passionate about? Are there specific ones in Forsyth that you’re involved in? Scott: We have been involved with a number of organizations throughout the years including United Way, Boy Scouts, Rotary, Boys and Girls Club, Ser Familia, UNCF, UNICEF, Samaritan’s Feet, Salvation Army, the Marcus Jewish Community Center, FCA, etc. In Forsyth, we are active with our church, Mountain Lake, among other community organizations (some named above). CFNEG: Tell us a bit about your family. Scott: I’ve been married to my soulmate for the past 17 years, Deana Jordan. She’s an exceptional wife, mother, and banking professional to boot. I honestly don’t know how she gets it all done, and I thank God every day for her and our two children, Libby and Riley. I can’t leave out our fur-baby, Chewie, a miniature schnauzer who rules our house at times. CFNEG: What are your favorite hobbies or interests? Scott: We live on Lake Lanier, and we spend the great majority of our free time on the lake when not on the ballfield, dance studio, volunteering, etc. We also love to travel as a family and have a goal to hit all of the major National Parks by the time our kids graduate from college. We’re kicking this off with the Grand Canyon later this year. CFNEG: What is one thing people would be surprised to know about you? Scott: Most people do not realize that I speak Spanish and lived in Spain three separate times on educational and cultural exchanges (High School, College, and Graduate). Also, one of my majors in college was Spanish. I’m almost embarrassed at how much I’ve let this skill lapse over the years. I recently joined the board of Ser Familia, and I’m hoping to leverage this incredibly incredible opportunity to serve Ser Familia’s mission in the community while hopefully getting my Spanish back on track.